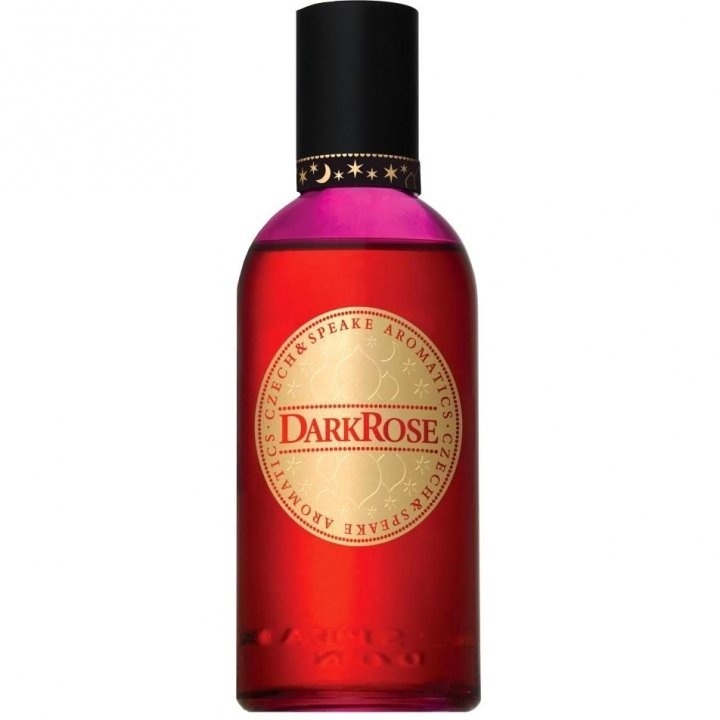 Dark Rose is a perfume by Czech & Speake for women and was released in 2003. The scent is floral-woody. The production was apparently discontinued. I have been after sampling Dark Rose for the longest time and up until a few days ago have never had the opportunity of doing so. A London based friend procured a sample for me and I am astonished that this seems to be the forerunner of a genre that I have come to love with an undying passion. Rose, Saffron, Oud and Patchouli … as a combination of notes that is undeniably Arabic in nature and has taken the fragrance world by storm in incarnations like Nejma 3, Montale's Louban (amongst others), Dior's Ispahan, del Pozo's Arabian Nights and Duponts Oud and Rose, Dark Rose by Czech and Speake must be the origin and most brilliantly constructed version of these notes. As far as I can ascertain, this fragrance is the one which started the Oud craze in Western perfumery. I may be wrong, but most of the literature I have perused points me in that direction. I often view Saffron in fragrances as 'thin' … meaning not that it is applied skimpily, but simply that it doesn't carry any fullness. Indeed, I have a sample of Saffron absolute in my possession, and even this renders itself as 'thin', by which I mean blade-like and sharp. Imho, Saffron needs a strong, full Rose note dripping with mushroomy earthiness to truly shine. In Dark Rose it has such an ingredient and I am almost sure that this is the beautiful Rose from Ta'if, grown in the mountains of Saudi Arabia. While the Oud here is excellent, I can't help feeling that it is synthetic, having recently smelled vintage Oud. Nonetheless, it is a beautiful compliment to the Rose, bolstered in the deep dry down by a very convincing Musk note. The Patchouli in this creation is beautifully natural, and I would warrant that it comes from the Seychelles … an oil which I have had the pleasure of smelling in it's natural form. Although this crop is not a major export for this Island nation anymore, native perfumery still utilizes the famed oil of this region. I am truly sorry that I did not sample this creation until long after my fascination with this genre began. I can only say that if one's collection only allows for a single fragrance based on Oud, Saffron, Rose and Patchouli, then Czech and Speake's Dark Rose has to be it. Im writing about the EDC version. As already said, to me this smells like a watered down version of Black Aoud. It's light and subtle if compared to Black Aoud, also less medicinal. It also remembers me more Aoud Rose Petals. Do not expect something sweet like Rose Anonyme or Midnight Oud. Opens with lots of saffron and oud and then dries down to a sour rose smell with a hint of musk. Projection and sillage are medium while lasting power is about 5 hours. Rose, Oud, and Saffron: all in detectable quantities! I am seriously impressed. In 2003, nearly ten years ago, Czech & Speake put out apparently the first rose, oud, and saffron perfume, and it was a good one--I'm assuming that this 2009 reissue is essentially the same composition. I am also beginning to realize that rose, oud, and saffron perfumes have a lot in common with one another, and I would be hard pressed to identify the house from which they came. 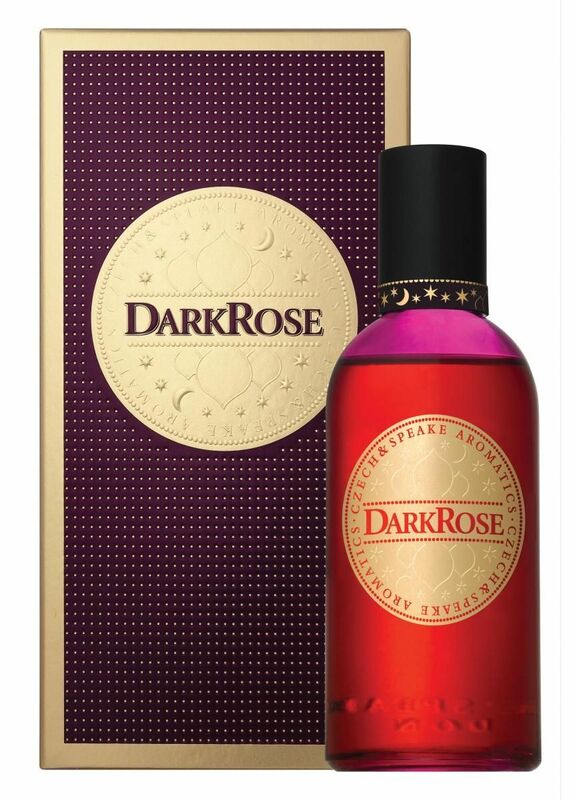 DARK ROSE is especially nice because the oud is actually detectable. I've been noticing of late that many so-called oud perfumes contain imperceptibly small amounts of oud. It's possible, of course, that I am hyposmic to oud, but since lots of other people have made the same complaint, I think that it's safe to say that perfumers should probably up the ante on this precious note or else just get out of the oud game, because we've really had enough oudless "oud" launches by now. Have we not? This is a gorgeous presentation of saffron as well. I am baffled as to how this can be a cologne, when so many niche edps have much worse longevity than this. Hats off to Czech & Speake for creating a beautiful perfume and humbly characterizing it as a mere cologne! (Not to name any names, but often in niche perfumery what happens is exactly the reverse...) This creation is completely and utterly full-bottle worthy and is going straight onto my wish list. Bravo! Write the first Review for Dark Rose!